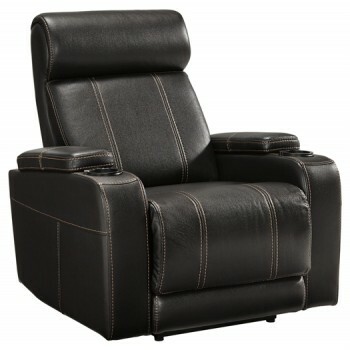 This power recliner is a delightful departure from the mundane with its sleek, unique design. Perfect for an in home theater, it's decked out with one-touch power control and a comfortable exaggerated headrest. You’ll also feel stylishly futuristic with the added blue base and cup holder LEDs. Although this recliner can’t take you to the future, it’s certainly a pleasant pit stop along the way.